can we download stuff throgh internet like mp3 songs videos etc? some people said that it cant ! can i transfr a file like music file from lumia 510 to any kind of java phone via bluetooth? which one is better? 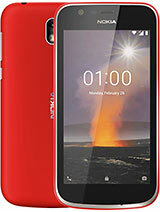 Tipo or lumia 510? longlivbh, 05 Jan 2013for last few days iam using tipo i also have same touch problems but i download one software f... morePlease specify which touchscreen problem did u had? Caliberation or delayed touch response? It does not support google map ,Nokia mapping service is very bad..
plz tell me what accessories with nokia lumia 510?? Kiran, 04 Jan 2013Hi Mac, Tipo is a good phone,but the 4 inch screen and 5mp cam lumia 510 tempts you. And... moreBut many users are complaining about the touchscreen quality of Tipo.I have talked to many genuine Tipo users and they said that it faces manufacturing defects like delayed touch response,Caliberation issues and permanent White/Blank spots on the screen even on sealed packed products. Such issues have made my decision even tougher coz Tipo was my first choice. Kiran, 04 Jan 2013Hi Mac, Tipo is a good phone,but the 4 inch screen and 5mp cam lumia 510 tempts you. And... moreNokia Lumia 510 coming with 7.8 update. Bluetooth sharing possible for every phone. If any one having Lumia 510 with 7.5 update then they should go to Nokia center get 7.8 update. wats the battery back up when we NORMAL USE (internet 3hours,music+video 30min, talk 30min) on this phone ? 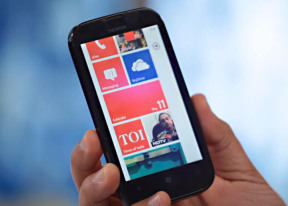 Tipo is a good phone,but the 4 inch screen and 5mp cam lumia 510 tempts you. Android is a better OS because of its features. Tipo is packed with all featues you need.510 has some series limitations i.e, Card slot,bluetooth,single sim etc. I suggest you to go for tipo.Hope this post will help you. yasir , 02 Jan 2013how can i connect to Samsung galaxy mobile because when i gonna try for Bluetooth but is fail ... moreYou can only transfer data to a windows mobile phone.Its not a device problem..
the lumia 510 support vmeye or not? I don't know Y peoples xpect too much @10k budget phone? If ur not satisfied with Nokia lumia 510 then go for s3 @35k...............What u want @10k budget phone? Big Brands like Htc, Sony, Samsung, Lg...........Not a single company giving 4inch screen smart phone @10k and u people want more.............If u love gamez then buy psp better option for gamerz or go with 3inch small screen phone offering by samsung with only 1200mAh battery not enough for android phones if ur samsung fan. 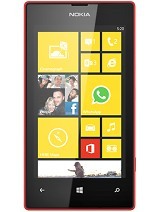 Total of 2940 user reviews and opinions for Nokia Lumia 510.